This week I attended the Autodesk Manufacturing Tech Day event at the Autodesk office in Lake Oswego. I expected to see and hear more about the new 2012 product suites, especially since that was the only thing that Autodesk executives seemed to be interested in talking about during the 2012 product launch web cast. And that is precisely what happened. I believe there is a serious problem with these suites. But before I get to that, let’s take a look at some of the material put out by Autodesk about these suites. This is what the landing page for the Autodesk Product Design Suite looks like. Here is the page that lets you “try” the Autodesk Product Design Suite. As you can see, the first image above gives you the impression that the suite is basically a bundle, a collection of different products put together into one box. The second image merely confirms that by giving you links to download the individual products. But here is the thing. From that I understand the Autodesk 2012 suites are not bundles. People who buy these suites will also get additional pieces of software that tie the different products in the suite together. For example, in the Factory Design Suite, there is a tab called “Factory” added to Inventor’s ribbon bar which contains the factory specific functionality. I took the above picture from the Factory Design Suite brochure because that’s the only suite which is already out in the market. The rest of the suites are not ready to ship to customers as can be seen from the fact that the “try” page simply points to download links to the individual products in the suite. I brought this up with Autodesk executives in Lake Oswego and they agreed with me. To me it looks like the suites were not ready in time and Autodesk decided to go ahead and announce them anyways. They ended up putting together the marketing material that they did and made the announcement. This is precisely the problem with annual release cycles. You end up forcing people to make and release software by giving more importance to a calendar as opposed to customer feedback, bug reports and general readiness of the product. I believe Autodesk marketing should take a serious look at the material that they have put together for the 2012 product suites. I feel too much ink has been spent to highlight prices and savings, thereby making the whole concept of suites seem as if they were bundles and nothing else. That would be a shame because I believe the development team at Autodesk has put a lot of effort into adding value to the individual products and that is not being highlighted enough. I believe this line of thinking will propagate down to the resellers who will basically push these suites as bundles. 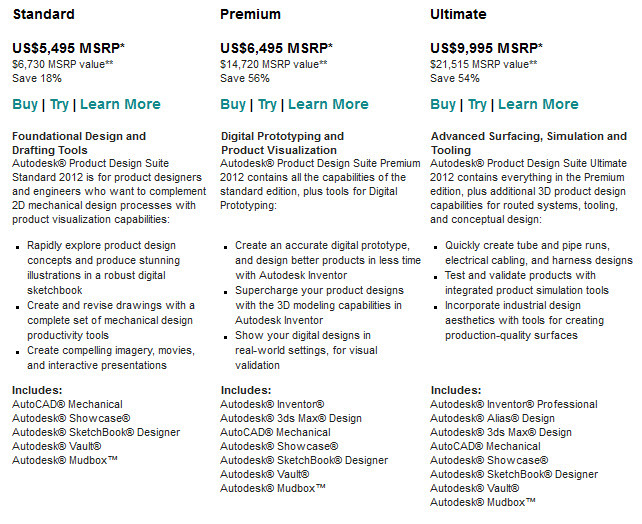 To me the problem with the Autodesk 2012 product suites is the way they are being marketed. 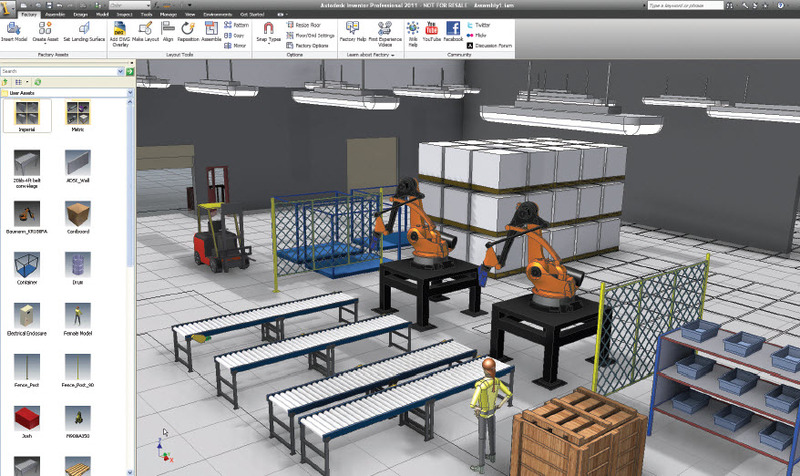 Bottom line, an Autodesk 2012 suite is not merely the sum of its individual parts. Disclosure: Autodesk paid for my airfare and hotel.